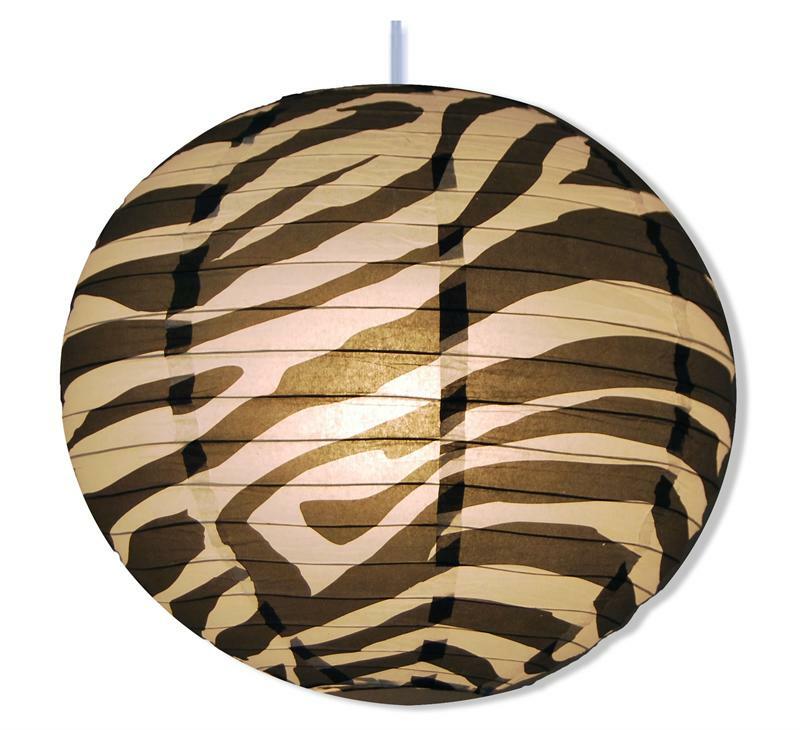 Zebra Print Round Paper Lantern 14"
Home > Hanging Lanterns > Zebra Print Round Paper Lantern 14"
Cool zebra print hanging paper lanterns are great for decorating, for parties, events and more. Also called Japanese paper lanterns, these round paper lamps are super versatile. Handmade in China. Measures 14" across and includes wire expander. Light bulb not included.